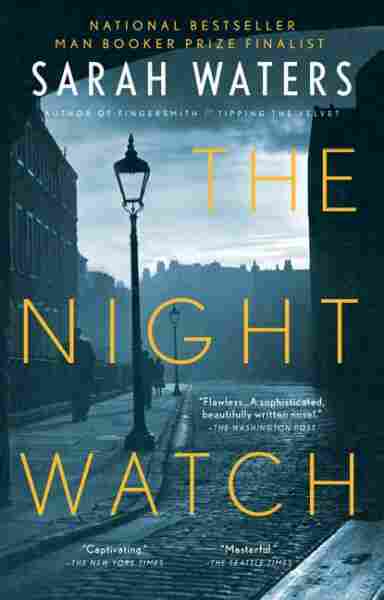 'Night Watch' Goes Back to the Blitz, with a Twist Sarah Waters' novel is told from 1947 backward, and it has much of what we expect of war-time Londoners: bravery, fear and sometimes heroism. But there's more: many of the characters are lesbians. 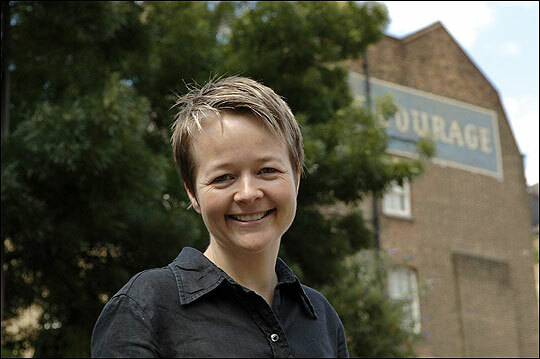 Sarah Waters took four years to craft her fourth novel. London after the Blitz might be seen as bombed-out literary turf. 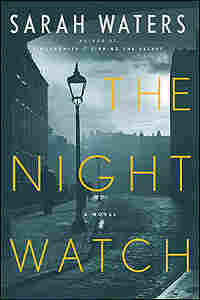 And Sarah Waters' fourth novel, The Night Watch, has what we expect of war-time Londoners: bravery, fear and sometimes, heroism. But Waters builds this historical tale around lesbian characters, and in telling the story backwards, starting in 1947, she strips layers off complex and complicated lives. For she was standing at her open window, in a collarless shirt and a pair of greyish underpants, smoking a cigarette and watching the coming and going of Mr Leonard's patients. Punctually, they came -- so punctually, she really could tell the time by them: the woman with the crooked back, on Mondays at ten; the wounded soldier, on Thursdays at eleven. On Tuesdays at one an elderly man came, with a fey-looking boy to help him: Kay enjoyed watching for them. She liked to see them making their slow way up the street: the man neat and dark-suited as an undertaker, the boy patient, serious, handsome -- like an allegory of youth and age, she thought, as done by Stanley Spencer or some finicky modern painter like that. After them there came a woman with her son, a little lame boy in spectacles; after that, an elderly Indian lady with rheumatics. The little lame boy would sometimes stand scuffing up moss and dirt from the broken path to the house with his great boot, while his mother spoke with Mr Leonard in the hall. Once, recently, he'd looked up and seen Kay watching; and she'd heard him making a fuss on the stairs, then, about going on his own to the lavatory. "Is it them angels on the door?" she had heard his mother say. "Good heavens, they're only pictures! A great boy like you!" He was right, in a way. For sometimes she walked restlessly about, just as lunatics were said to. And other times she'd sit still, for hours at a time -- stiller than a shadow, because she’d watch the shadows creeping across the rug. And then it seemed to her that she really might be a ghost, that she might be becoming part of the faded fabric of the house, dissolving into the gloom that gathered, like dust, in its crazy angles. A train ran by, two streets away, heading into Clapham Junction; she felt the thrill and shudder of it in the sill beneath her arms. The bulb in a lamp behind her shoulder sprang into life, flickered for a second like an irritated eye, and then went out. The clinker in the fireplace -- a brutal little fireplace; this had been a room for a servant, once—gently collapsed. Kay took a final draw on her cigarette, then pinched out the flame of it between her forefinger and thumb. The room was dim. Some of the window-glass had been lost, and Mr. Leonard had replaced it with lino. The bed was high, with a balding candlewick bedspread: the sort of bed that turned your thoughts, not pleasantly, to the many people who must, over the years, have slept on it, made love on it, been born on it, died on it, thrashed around on it in fevers. It gave off a slightly sour scent, like the feet of worn stockings. But Kay was used to that, and didn’t notice. The room was nothing to her but a place in which to sleep or to lie sleepless. The walls were empty, featureless, just as they had been when she'd moved in. She'd never hung up a picture or put out books; she had no pictures or books; she didn't have much of anything. Only, in one of the corners, had she fixed up a length of wire; and on this, on wooden hangers, she kept her clothes. The clothes, at least, were very neat. She picked her way through them now and found a pair of nicely darned socks, and some tailored slacks. She changed her shirt to a cleaner one, a shirt with a soft white collar she could leave open at the throat, as a woman might. But her shoes were men's shoes; she spent a minute polishing them up. And she put silver links in her cuffs, then combed her short brown hair with brushes, making it neat with a touch of grease. People seeing her pass in the street, not looking at her closely, often mistook her for a good-looking youth. She was regularly called "young man," and even "son," by elderly ladies. But if anyone gazed properly into her face, they saw at once the marks of age there, saw the white threads in her hair; and in fact she would be thirty-seven on her next birthday. When she went downstairs she stepped as carefully as she could, so as not to disturb Mr Leonard; but it was hard to be soft-footed, because of the creaking and popping of the stairs. She went to the lavatory, then spent a couple of minutes in the bathroom, washing her face, brushing her teeth. Her face was lit up rather greenishly, because ivy smothered the window. The water knocked and spluttered in the pipes. The geyser had a spanner hanging beside it, for sometimes the water stuck completely -- and then you had to bang the pipes about a bit to make it fire. The room beside the bathroom was Mr Leonard's treatment-room, and Kay could hear, above the sound of the toothbrush in her own mouth and the splash of water in the basin, his passionate monotone, as he worked on the snub-nosed man with the wasted arm. When she let herself out of the bathroom and went softly past his door, the monotone grew louder. It was like the throb of some machine. "Eric," she caught, "you must hmm-hmm. How can buzz-buzz when hmm-buzz whole again?" She stepped very stealthily down the stairs, opened the unlatched front door, and stood for a moment on the step -- almost hesitating, now. The whiteness of the sky made her blink. The day seemed limp, suddenly: not fine so much as dried out, exhausted. She thought she could feel dust, settling already on her lips, her lashes, in the corners of her eyes. But she wouldn't turn back. She had, as it were, her own brushed hair to live up to; her polished shoes, her cuff-links. She went down the steps and started to walk. She stepped like a person who knew exactly where they were going, and why they were going there -- though the fact was, she had nothing to do, and no one to visit, no one to see. Her day was a blank, like all of her days. She might have been inventing the ground she walked on, laboriously, with every step.